Was a spectacular home run slugger, premier outfielder and one of the most popular Milwaukee Brewers ever. A gifted athlete, he earned 14 individual letters in high school while playing football, baseball, basketball and track. He was the #1 draft pick of the Seattle Pilots in 1969. 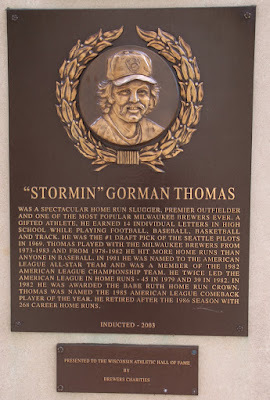 Thomas played with the Milwaukee Brewers from 1973-1983 and from 1978-1982 he hit more home runs than anyone in baseball. In 1981 he was named to the American League All-Star Team and was a member of the 1982 American League Championship Team. He twice led the American League in home runs - 45 in 1979 and 39 in 1982. In 1982 he was awarded the Babe Ruth Home Run Crown. Thomas was named the 1985 American League Comeback Player of the Year. He retired after the 1986 season with 268 career home runs. National Mustard Museum: Stormin' Gorman! 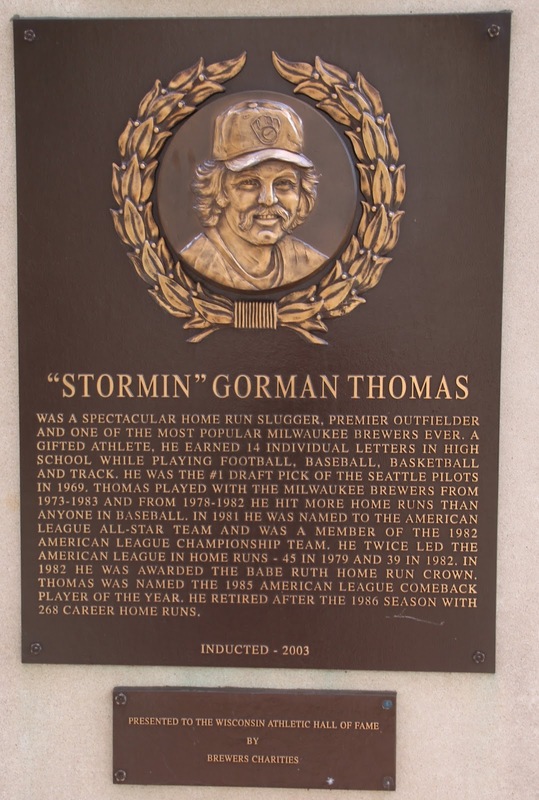 Milwaukee Brewers legend Stormin’ Gorman Thomas comes from South Carolina where BBQ sauce is never red. It’s based on mustard and his “Stormin’ Sauce” (SGM500) is the best thing ever to happen to pulled pork, grilled chicken, and even salmon.